The Climapro₂ RF is our most innovative wireless programmable room thermostat. This intuitive intelligent control allows you to program your central heating and hot water requirements for each part of everyday life. This incredibly easy-to-use handheld remote control allows you to have complete control of your central heating and hot water from the comfort of your armchair. 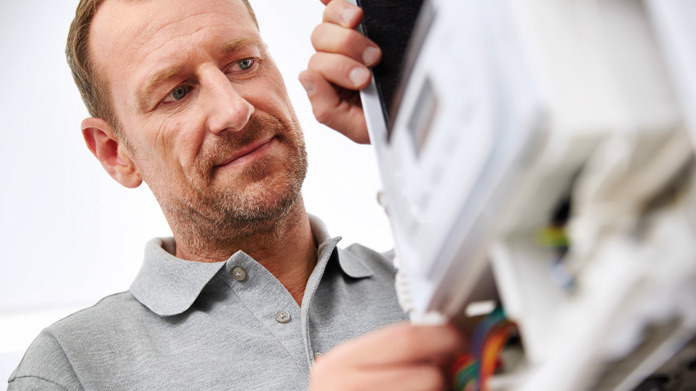 Simply program your central heating system to suit your timetable and lifestyle. The Climapro₂ RF is compatible with all Glow-worm boilers making your central heating easier than ever to control.